We are pleased to now offer the AFP Mini-Med X-Ray Film Processors for sale. 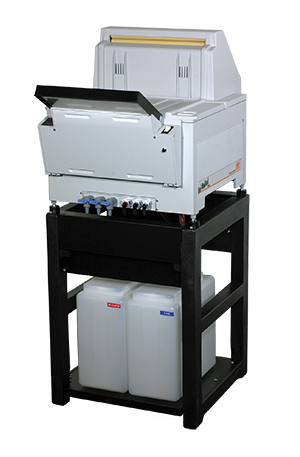 The AFP Mini-Med is an x-ray film processor made from a reliable, time-tested design that has performed admirably for decades. If you have a great design that works, why change? Best of all, this processor is 100% Made in the USA. It is available in a 110-120V for North American use, and 220-240V versions for export world-wide. ﻿The AFP Mini-Med X-Ray Film Processor will process film sizes from 4" x 4" (10 x 10cm) up to 14" x 36" (35 x 92cm). Processing speeds available at 90 seconds and 180 seconds. 33" x 22" x 24.5"